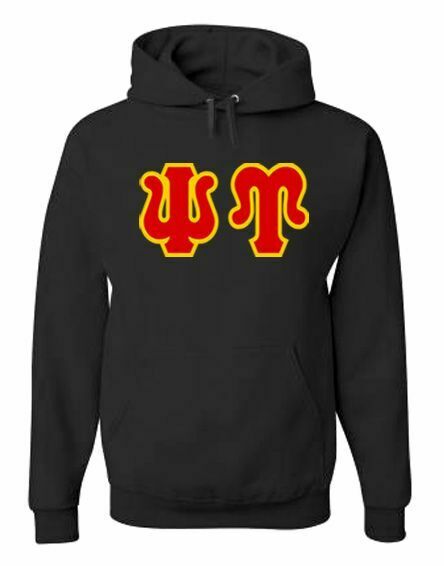 Psi Upsilon Hooded Sweatshirt is now available with Jumbo Greek twill! 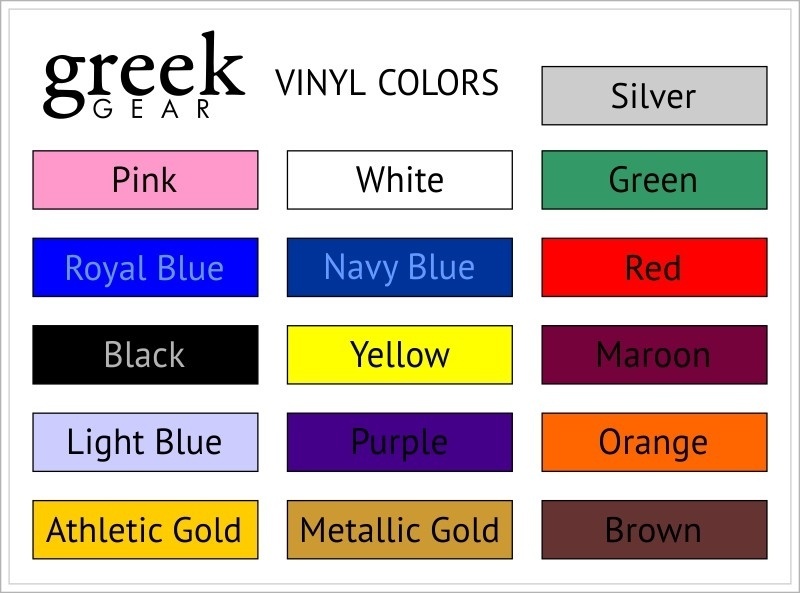 A Greekgear exclusive now you can say our Letters are bigger than their letters! 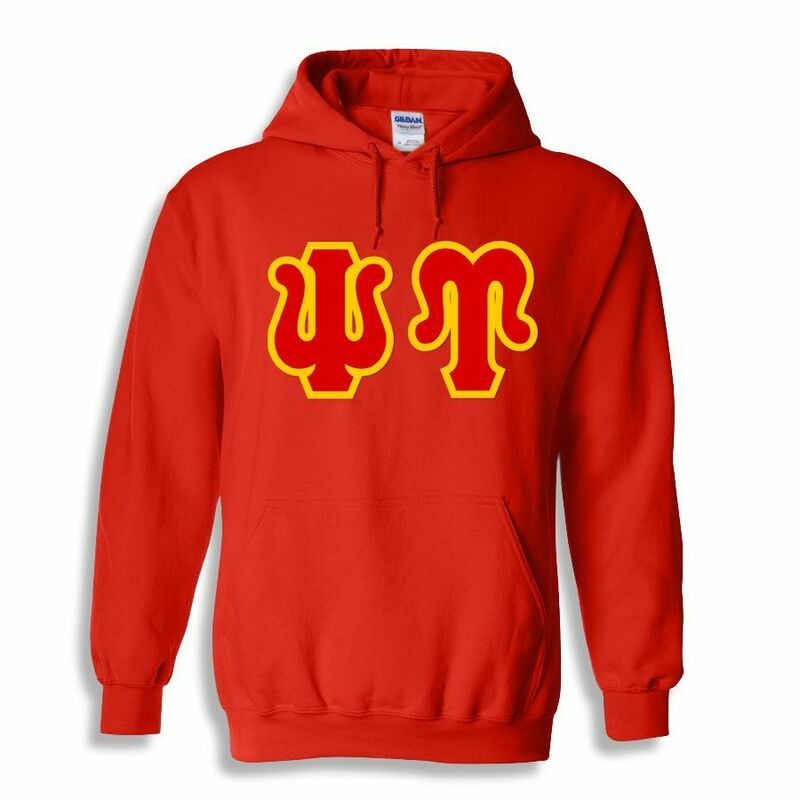 These Greek letters are 50% bigger than our standard letters. 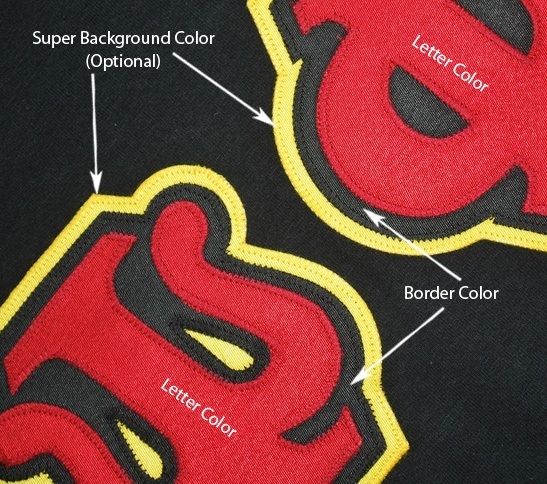 The twill letters we apply have a foreground-at 6.5" tall they're hard to miss. 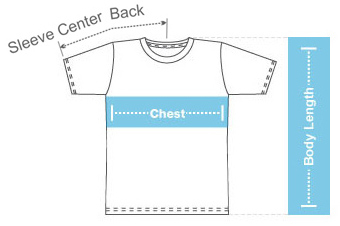 Shirts are unisex sizes - geared more for men so order accordingly. 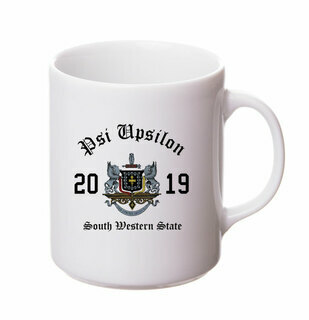 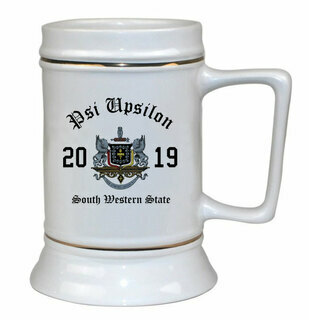 Psi Upsilon Ceramic Crest & Year Ceramic Stein Tankard - 28 ozs!